Kevin S. Seibert, CFP®, CRC®, CEBS, is Managing Director, International Foundation for Retirement Education (InFRE). He is a professional development trainer in retirement planning and retirement income management for advisors serious about working with the mid-market. Kevin Seibert joined the International Foundation for Retirement Education (InFRE) in 2003 and now serves as Managing Director. InFRE is the non-profit which confers the Certified Retirement Counselor® (CRC®) certification, a must-have for advisors who want to serve the retirement planning, risk and income management needs of the mid-market. Prior to InFRE, Kevin was co-founder of Balance Financial Services, a Chicago area financial planning and consulting firm. Before founding Balance in 1988, he was a consultant for William M. Mercer, Inc. and was responsible for the implementation of compensation and employer provided benefit plans. Kevin was also Director of Marketing for a New Jersey based company specializing in the development and distribution of defined contribution and financial planning programs. 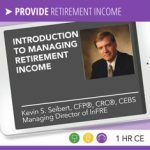 Kevin Seibert is co-author along with Betty Meredith, Director of Education and Research for InFRE, of a series of professional education courses on managing retirement income received by more than 15,000 advisors and retirement counselors since 2004 in live, print, elearning and audio formats. Employee workshops and seminars on retirement planning and retirement income management. Kevin Seibert is a Certified Financial Planner® (CFP®), a Certified Employee Benefits Specialist (CEBS), and a Certified Retirement Counselor (CRC®). Kevin earned his MBA in finance from the University of Wisconsin and received his undergraduate degree in finance from Miami University of Ohio. Serving as Treasurer and Executive Board member for the Greater Chicago Chapter of the International Society of Retirement Planners, Kevin played an active role in providing on-going retirement planning education to professional and employer members of this organization. How can you schedule Kevin Seibert at speak at your event? Kevin S. Seibert is an experienced speaker and presenter with a passion for providing industry-leading information to audiences. He is available to speak at your conference or appear at one of your events. Inquire here about having Kevin Seibert speak at your conference or event! You can book this or other speakers for your upcoming events! 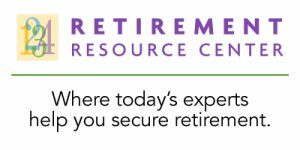 Visit Retirement Insight & Trends, InFRE’s newsletter for retirement professionals, for a summary of this presentation. View a short clip of this presentation on our Retirement Resource Center YouTube Channel.